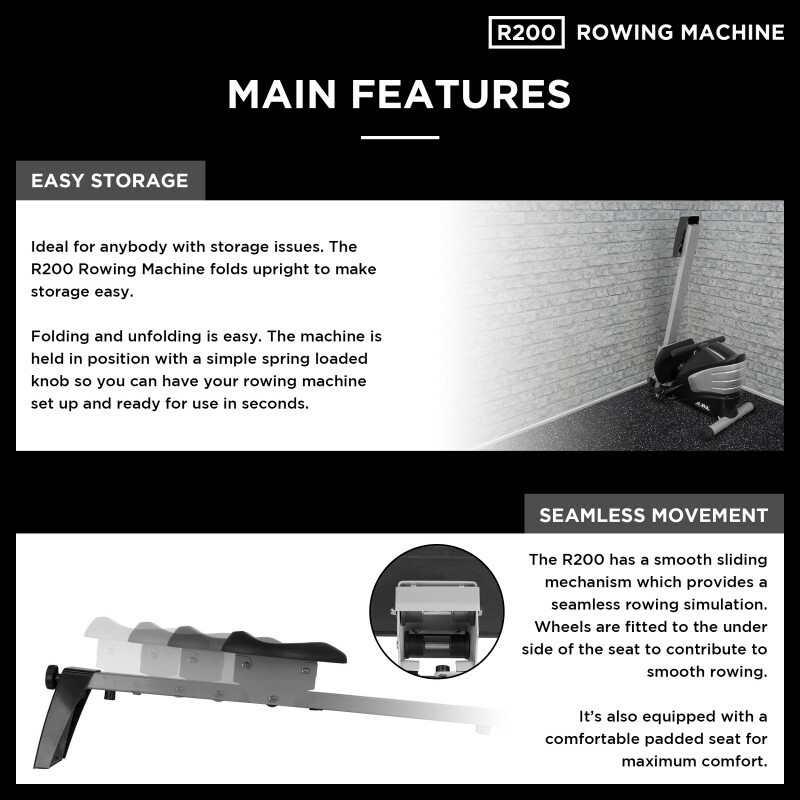 The R200 Rowing Machine is our elite performance home rower. It's packed with premium features which allows you to train like a pro and sculpt your body. 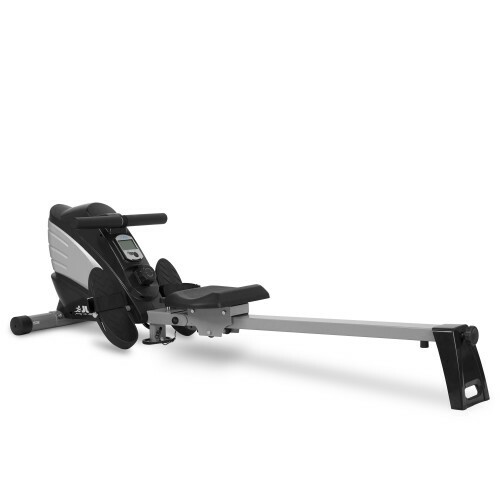 This machine makes for smooth and quiet rowing due to the fact that it's equipped with magnetic resistance and is belt driven. It's great for a whole body workout as every muscle is worked when using the R200. 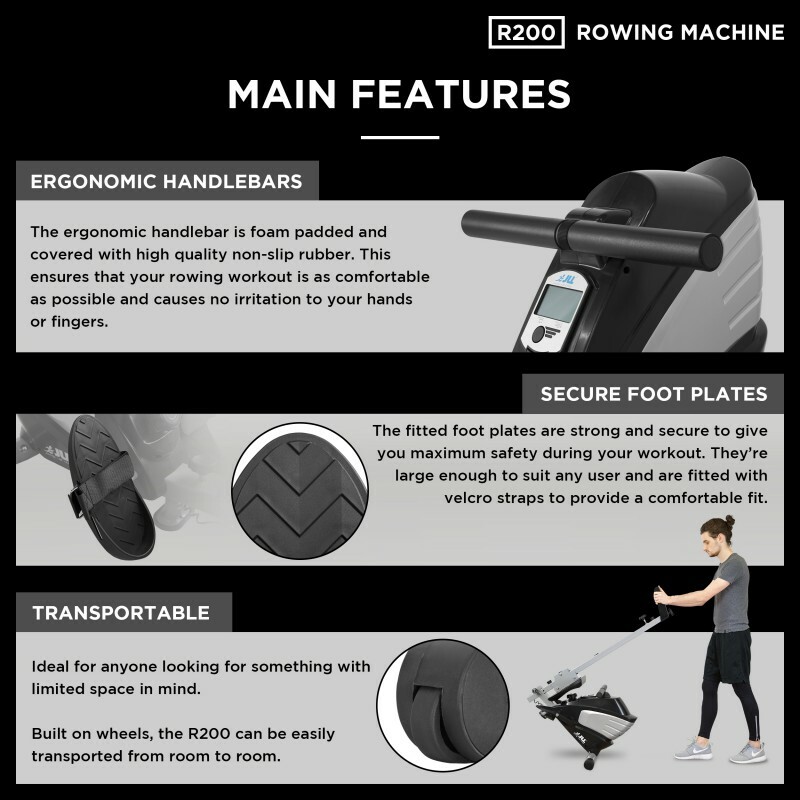 The R200 caters for every user no matter what your fitness level with 10 differing levels of resistance. 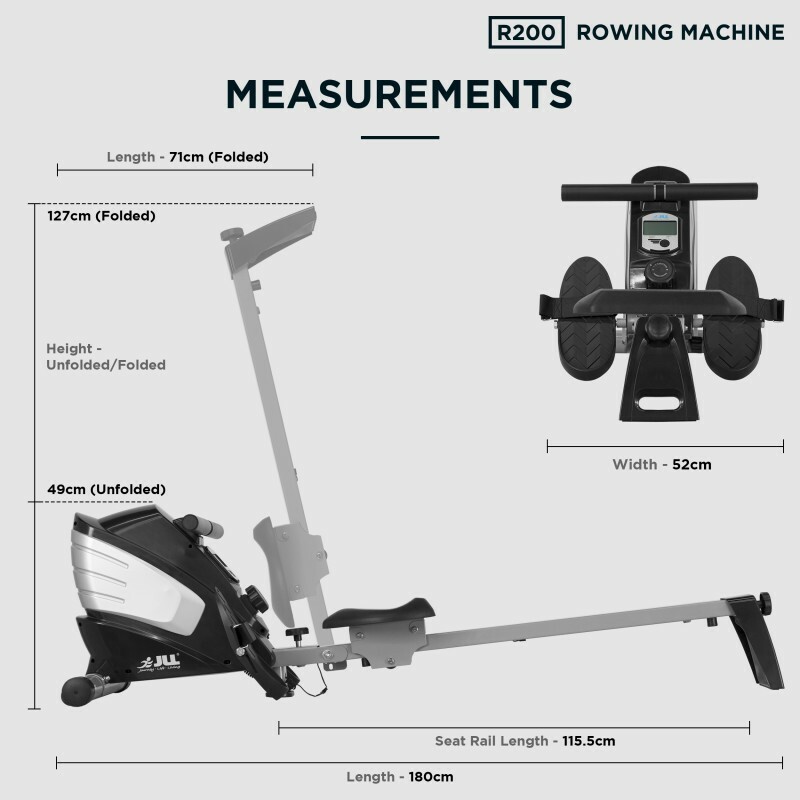 So whether you're a beginner or a verteran of the rower, the R200 will suit your needs. 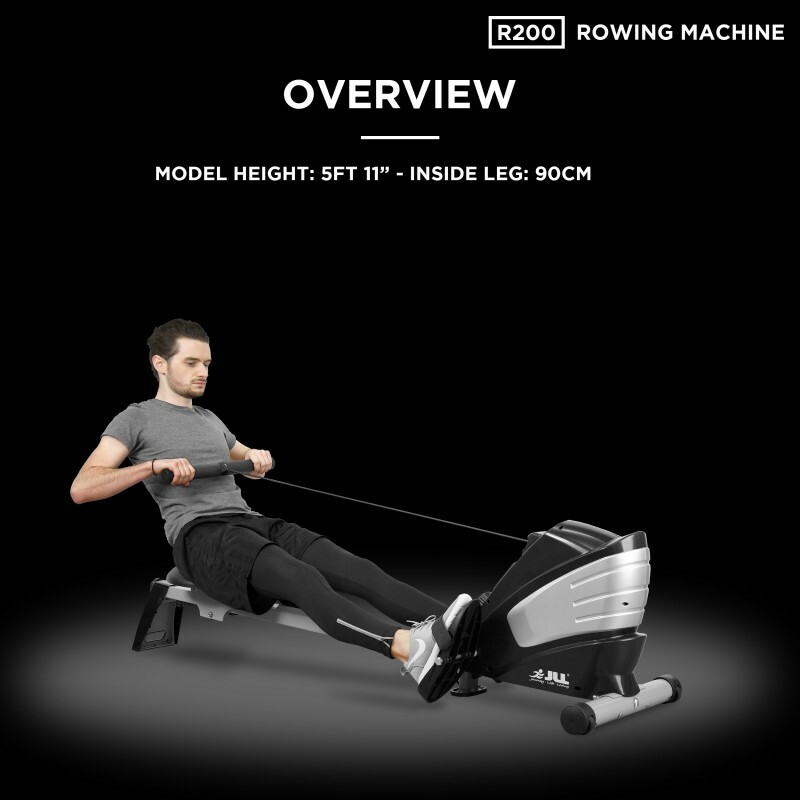 The R200 is direct belt driven so it provides a quiet and smooth workout to replicate the simulation of rowing. 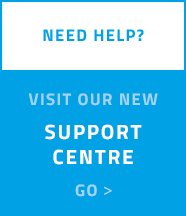 It allows you to workout to your full capacity with no compromise on quality. 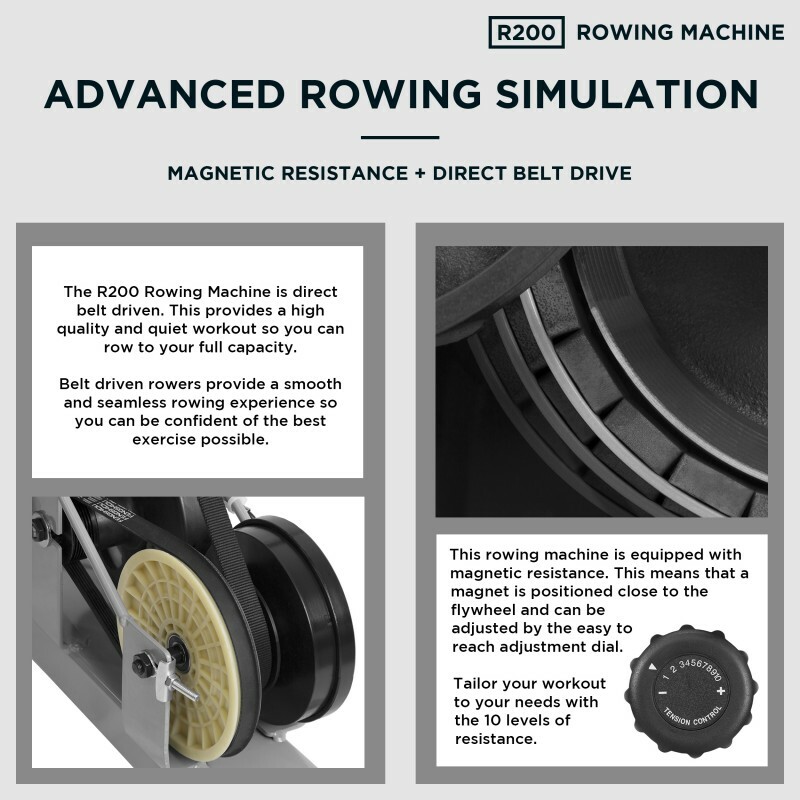 Smooth and quiet rowing is also guaranteed with the magnetic resistance. A magnet is placed close to the flywheel and has 10 levels of adjustment so you can increase the intensity of your workout as you progress. 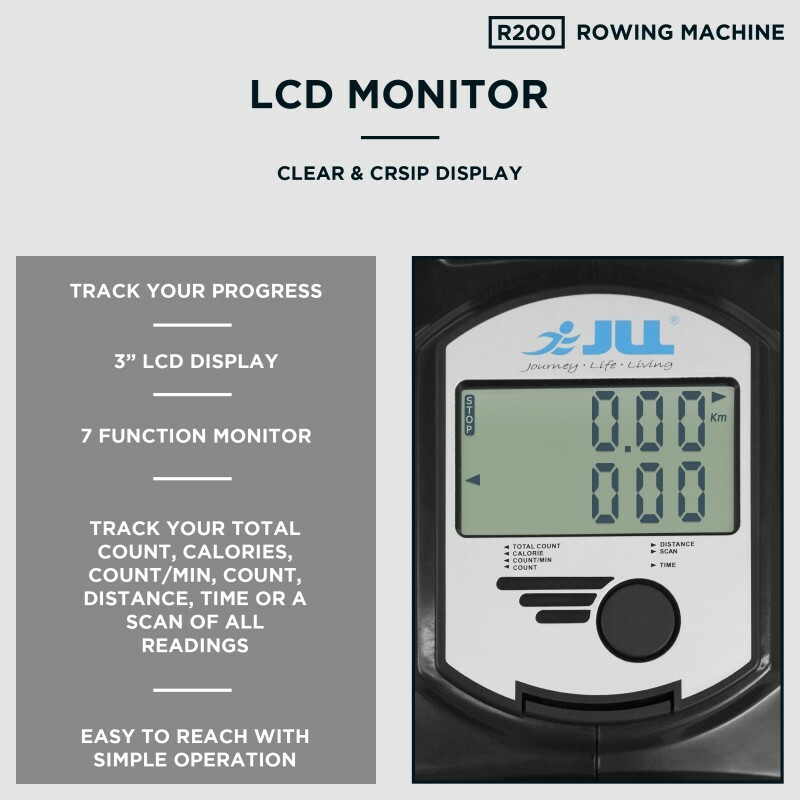 7 function LCD monitor displays: Total count, calories, count/min, count, distance, time and scan mode. 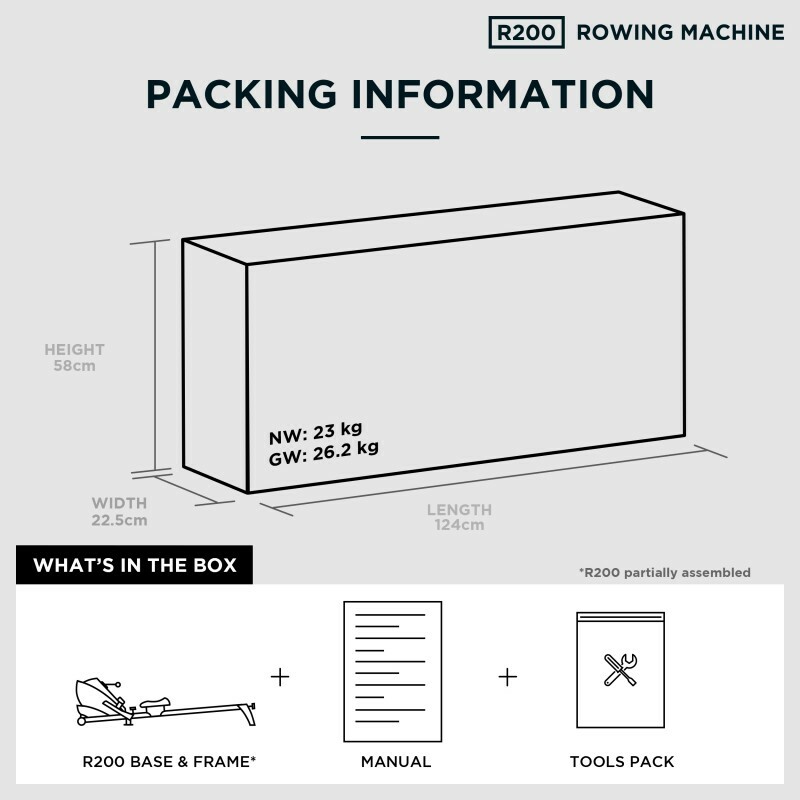 We offer 12 months warranty on our R200 Rowing Machine. Free to the U.K Mainland this does not include certain Scottish postcodes, Isles of the Coast, Ireland and Northern Ireland.